Tamil Nadu Open University TNOU has declared the Term End Examination Exam results 2013 held in the month June, 2013. All the students appeared in this examination can check their exam results online through the following link. You have to enter your Roll number to find result online or in case if you forget your roll number then you can also check the exam results through the candidate’s full name then click on the Find Results button. 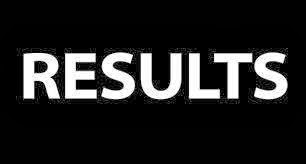 The results are available online through the courtesy of Indiaresults.com or click on the following link to view directly.